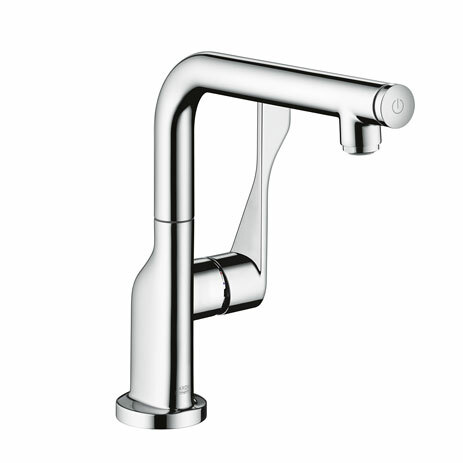 Experience the whole AXOR kitchen mixer assortment on the new AXOR website. 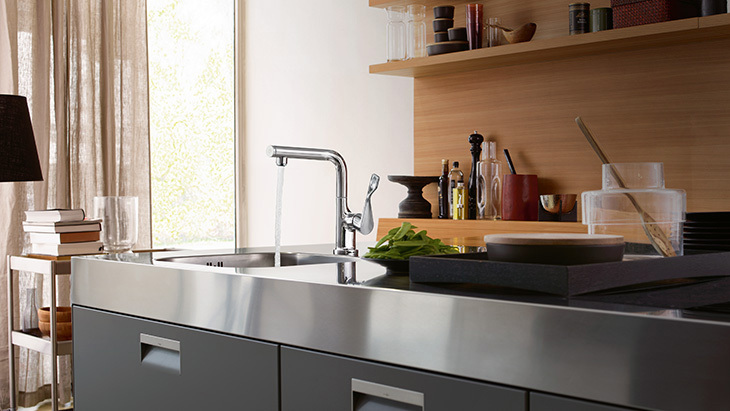 AXOR Citterio Select kitchen mixers offer both amateur and professional chefs an elegant opportunity to enjoy cooking. 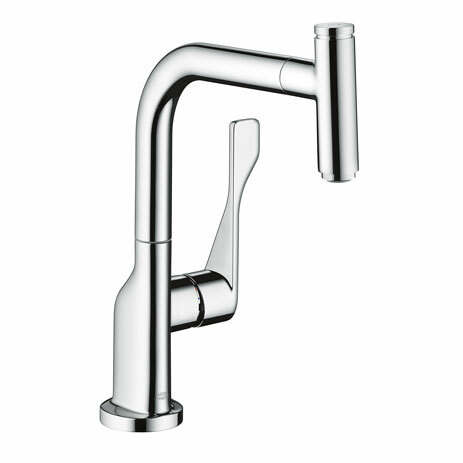 The kitchen mixer version with the swivel spout and the variant with the pull-out spout both offer you plenty of freedom of movement around the sink unit, since they can both be swivelled 110°/150°. The advantage of this is that you can channel the water exactly where you need it. 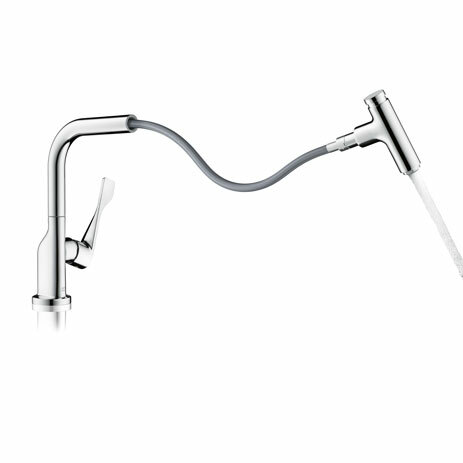 The high-quality, precisely-shaped mixer handle is particularly striking. The fact that it is long and flat makes it easy to operate – even with soapy hands. The mixer's slender base set makes it look elegant. 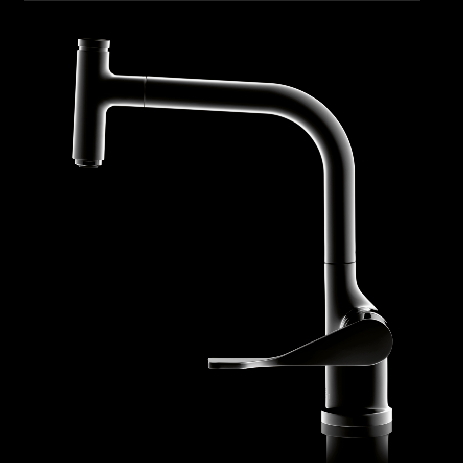 The Select technology makes working at the sink even more user-friendly. You can conveniently turn the water on and off by simply pressing the Select button on the mixer head. You can even stop the flow of water while you're on the go, using your finger, elbow or the back of your hand. All without interrupting the flow of your work. Unintentional adjustment of the temperature or flow rate is therefore a thing of the past. 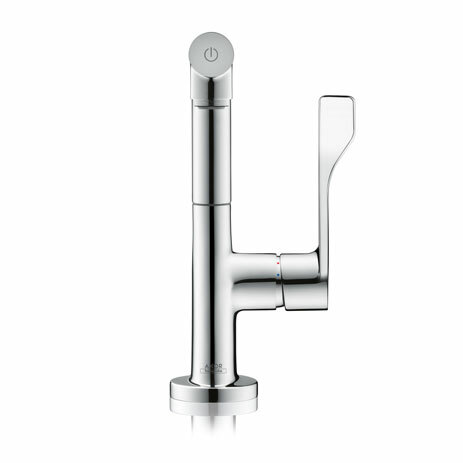 Of course, the flow of water can still also be controlled via the mixer handle.